Please inform us of any medical conditions while booking an appointment, including pregnancy. 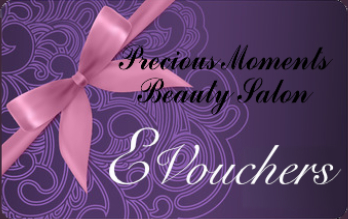 Gift vouchers are transferable but not refundable and to be used within six months, kindly do not ask for extensions. Courses are not transferable or refundable and need to be paid in full to benefit any offer. To be used within 12 months. Appointments booked out for more than 1.30 hours require a deposit which is non refundable if you fail to turn up to your booked appointment. New clients are requested to arrive 10 minutes before their appointment time to fill out a client record card. Clients that are new to tinting procedures require a 24 hours patch test prior to treatment. Any client having a Vinylux pedicure treatment should bring open toed shoes or flip flops. Any client having lash treatments should avoid wearing eye make-up when coming in for the appointment. Swimming, sun beds, sauna and steam should be avoided 24 hours before and after any wax treatment. It is advisable for any clients having a tanning treatment to wear loose dark clothing and not to use moisturisers or perfumes prior to spray tanning. A deposit is required to all treatments at peak times. Here at Precious Moments Beauty Salon we book out your treatment time totally for you. We require at least 24 hours notice of cancellation so we are able to offer this time to another client. Less than 24 hours cancellation notice will result in being charged for the services reserved. If you arrive late the time will be deducted from your treatment time.